The centrepiece of Bristol Aquarium is the enormous Coral Seas display. 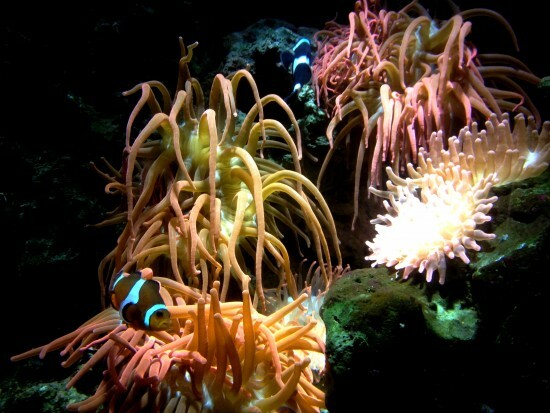 This spectacular display themed on a warm water coral reef provides an awe inspiring home to over 250 marine animals. 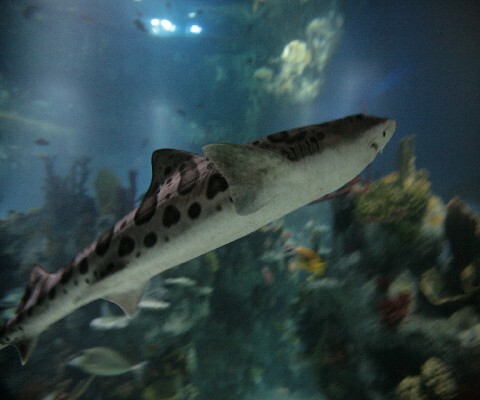 At over 250,000 litres this massive display is where our Leopard Shark, Bamboo Cat Shark and new juvenile Banded Houndsharks can be found patrolling the reef alongside cleaner wrasse, eels, oriental sweetlips, pufferfish, soldierfish and numerous colourful species. And of course the reef wouldn’t be complete without Nemo and Dory! Why do coral reefs support so much life? Coral reefs provide important living areas and hiding places for small fish and invertebrates. In turn this attracts larger predators to the area looking for food. The end result is a complex web of life ranging from tiny polyps to reef sharks. A teeming underwater city with each member interdependent on the other. Enjoy the closest of undersea encounters in an underwater walk-through tunnel through the reef and via a bubble-helmet viewing point. The Coral Sea display also hosts daily talks and feeds so visitors can learn more about our coral species and see how they interact in their huge warm water environment. If you would like to come along and meet all these fascinating creatures, buy your tickets online now for a discounted rate!